Bondville: Bondville Charity Auction: Little Circus Design lucky dip prize worth $170! 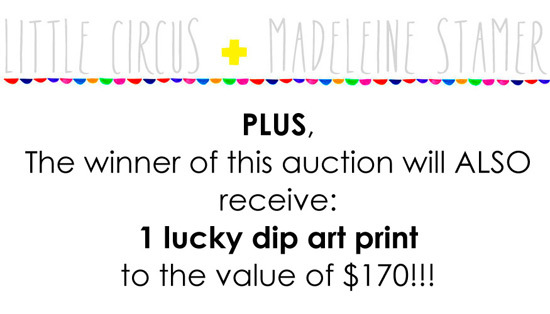 Bondville Charity Auction: Little Circus Design lucky dip prize worth $170! The gorgeous Madeleine Stamer of Little Circus Design has just added an amazing sweetener to her donation to the Bondville Charity Auction for the Children's Cancer Institute Australia. 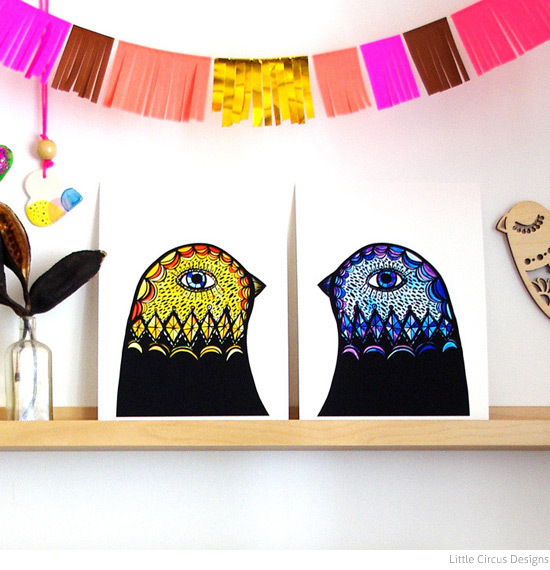 The winning bidder of her two A4 bird head prints will also receive an extra large A3 lucky dip print of Madeleine's choosing from her collection, worth $170! What a lovely surprise for the winner - thank you Madeleine! You can find Madeleine's art prints and many more gorgeous artworks and products for Mum, Kids and Home donated by Australian designers and online stores in the Bondville Charity Auction. The auction closes early on Monday 25th November, 2013. Bid now!